We all sometimes settle with work and personal matters, but your younger self wouldn't accept so many compromises. If you're long overdue for a promotion, stuck feeling taken advantage of, or simply miserable at your place of work, figure out what you want and what you deserve, and set out to achieve it. You should be happy with where you are in your professional life, not just mindlessly coasting through. Your younger self would want you to stand up for your convictions, be aggressive in your desires, and be proactive about getting what you want. A good place to start is asking for a raise. As we get older, we sometimes feel compelled to put aside our interests and passions while we address the responsibilities and demands of adulthood. But if we put them aside for too long, we lose ourselves in day to day duties and forget about the things that really drive and excite us. Is this the job or career you really want? Are there classes you can take or communities you can join to pursue your passion? Don't leave it on your back burner any longer. You undoubtedly made a lot less money in your younger days, but you likely were okay with making minimum wage back then. As we make more money, lifestyle creep can cloud our assessment of what we need versus what we want. This might cause us to make decisions that keep us unhappy. Take stock of what you have, what you really need, and what you really want out of life. During the earlier days of summer and college jobs, you didn't bring your work home with you. Now, it can be difficult to draw the line between home and work, especially with your smartphone delivering emails and easy access to documents via the cloud. Your younger self would remind you to enjoy your personal time at home, and devote your entire self to work while you're at the office. Your younger self probably spent weekends hanging out with friends, relaxing at home, and spending quality time to just recharge and enjoy life. Don't lose sight of that! Weekends exist for a reason — you aren't a machine. Spend your days off doing something fun instead of worrying about work or fulfilling obligations. Clear your head with a relaxing road trip, take up a new hobby (maybe even one that will pay off! ), or just sleep in. The weekend is your time to unwind; honor it. Let's admit it: Some of us lose motivation as we get older. We settle into routines, and never bother to see what good things could be waiting just around the corner. Your younger self jumped at new opportunities, and even sought them out. Put forth the effort to learn a new skill, network with other pros, and even take up a side gig. In addition to furthering your career, you could make some extra money, too! Your younger self didn't fear change. 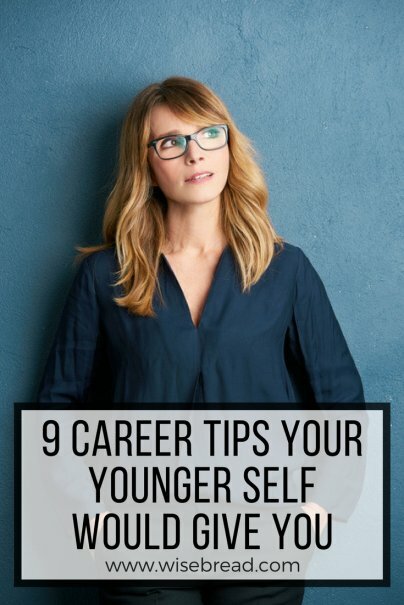 Starting over with a new job, even if it means leaving your old comfortable one behind, can be scary — but your younger self would have made that leap in an instant to better your life. Or maybe you turned down your dream gig because it required a move to a different city or state. Would your younger self have shunned such a change? Yes, any major change, especially a professional one, can be nerve-wracking. And, these decisions do admittedly get tougher as we get older and put down roots. But never be afraid to try — you could end up missing out on something great.